WALKSTRONG ~ www.walkstrong.ca: " Behind The Mask ... "
It is the night before Halloween and many are sorting their costumes ... capes, hats, clothing and masks. Ah, Masks, they have long been a part of daily life as well. From the past when tribal dancers wore them to worship their Gods, to the present where children wear them for special holidays. Really it is just the extent to which we layer ourselves that varies as these masks stay with us until we cannot remove them without removing some of our own skin. are decorated versions of what we prefer to show to the world. shield those parts of us that others need us to hide to make them feel more comfortable. are complex and moulded from parenting, culture and society. 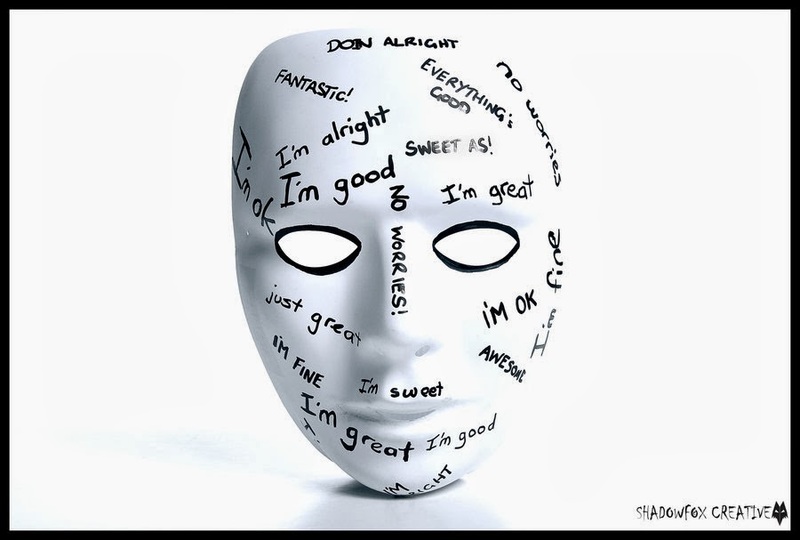 There are costs to being masked - the inability to express ourselves, show real feelings and the expectations of living up to a false image. You see, when propping up a persona, our behavioural choices narrow and the skills we may need to survive in an environment can stop us from having real needs met in another. 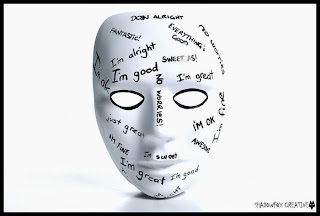 Appreciate that masks are protective barriers that we put up to deal with our insecurities, and these masks are not to be confused with who we really are. Whether it is to gain social acceptance, hide vulnerability, hide emotions, to deceive or to manipulate, we all wear masks at some time in our lives ... just don’t become attached to your projections. The core issue is not feeling loved by others and ourselves ... if we don’t love ourselves, then we depend on others to make us feel worthwhile ... an unstable foundation for our relationships and our psyche. 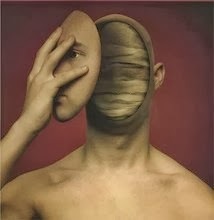 When we are conscious of our masks then we know we are not what we pretend to be.